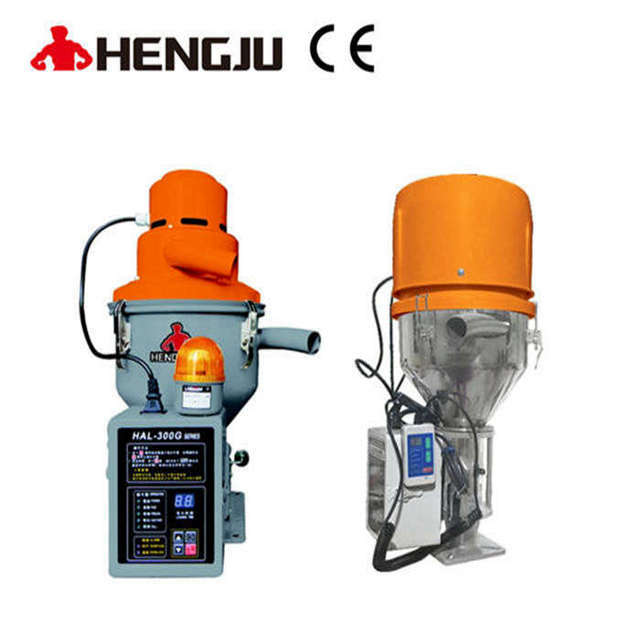 Stand Alone Type Auto Loaders_Dongguan Hengju Machinery Equipment Co., Ltd.
1. With small footprint and low weight,available of being placed directly onto other machines or containers for auto loading. 3. Alarm for overload and lack of material. 4. 300g equipped with high-speed rectifier motor with delicate size and strong suction force--suitable for new materials. 5. 400g with induction high pressure pump--with low noise and long service time. 6. Cable control board design--easy to set and control with distance. 7. Filter for air and dust.